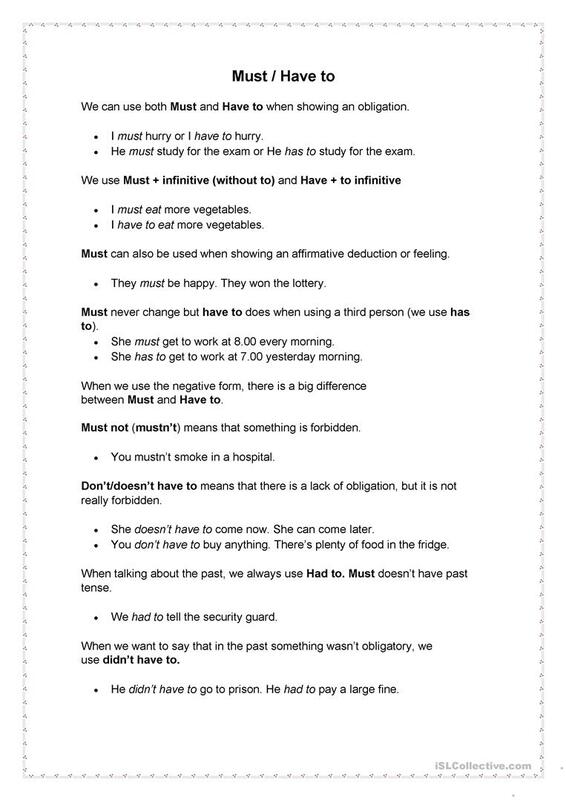 Structures and uses of 'must' and 'have to'. The above printable, downloadable handout is a great resource for business/professional students, high school students and adults at Pre-intermediate (A2), Intermediate (B1) and Upper-intermediate (B2) level. It is valuable for teaching MUST or HAVE TO (obligation) in English.